For a recent customer support question, I needed to know how long our app Witch had been running. There are probably many ways to find this out, but I couldn’t think of one. A quick web search found the solution, via ps and the etime flag. $ ps -o etime= -p "774"
ps -o etime= -p "`ps -ax | grep [a]ppname | cut -d ' ' -f 1`"
It’s messy looking, but this form saves time and typing. $ ps -o lstart= -o etime= -p "16866"
After getting this working, though, I wondered if it’d be possible to keep my backups from the first day of each month, even while clearing out the other dates. After some digging in the rsync man page, and testing in Terminal, it appears it’s possible, with some help from regex. The new bits, -not -regex ".*-01_. *" basically say “find only files that do not contain anything surrounding a string that is ‘hyphen 01 underscore.’ And because only backups made on the first of the month will contain that pattern, they’re the only ones that will be left out of the purge. This may be of interest to maybe two people out there; I’m documenting it so I remember how it works! With my Time Machine-like rsync backups running well, I decided it was time to migrate over the cleanup portion of my old script—namely, the bit that removes older backups. Soon after I added this bit to my new script, though, I had a surprise: All of my backups, save the most recent, vanished. In investigating why this happened, I stumbled across two rsync/macOS behaviors that I wasn’t aware of…and if you’re using rsync for backup, they may be of interest to you, too. I wanted to install Linux on a hard drive in Frankenmac, as Clover is a multi-boot utility—it lets you choose from any OS it sees during power up. (I’ll add Windows, too, eventually.) To do this, you need to get Linux onto a USB stick. I’ve done this in the past, and my vague recollection of the process was download the ISO, convert to an image file, write image file to USB stick. However, as it’d been a few years, I went searching for references to make sure I had all the commands correct. I found a lot of pages with a general summary of the process, and few with the specific steps. I tried one of those, but my USB stick didn’t work. The other specific pages contained the same basic process, so I was stuck. Until I found this page, which contained a critical step I was missing: Formatting the USB stick before copying the image file. In yesterday’s tip, See sensor stats in Terminal, I implied that installation of the iStats ruby gem was a simple one-line command. As a commenter pointed out, that’s only true if you already have the prerequisites installed. The prerequisites in this case are the Xcode command line tools. Thankfully, you can install those without installing the full 5GB Xcode development environment. 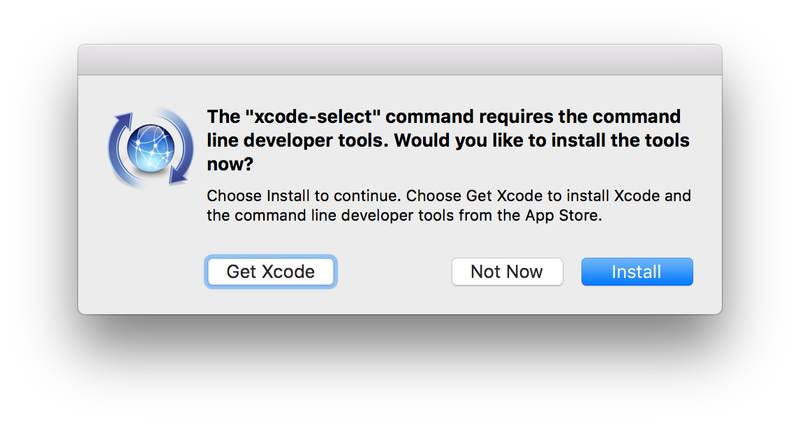 Do not click Get Xcode, unless you want to wait while 5GB of data downloads and installs on your Mac. Instead, click the Install button, which will display an onscreen license agreement. Click Agree, then let the install finish—it’ll only take a couple of minutes. If you’re curious as to what just happened, the installer created a folder structure in the top-level Library folder (/Library > Developer > CommandLineTools), and installed a slew of programs in the usr folder within the CommandLineTools folder. 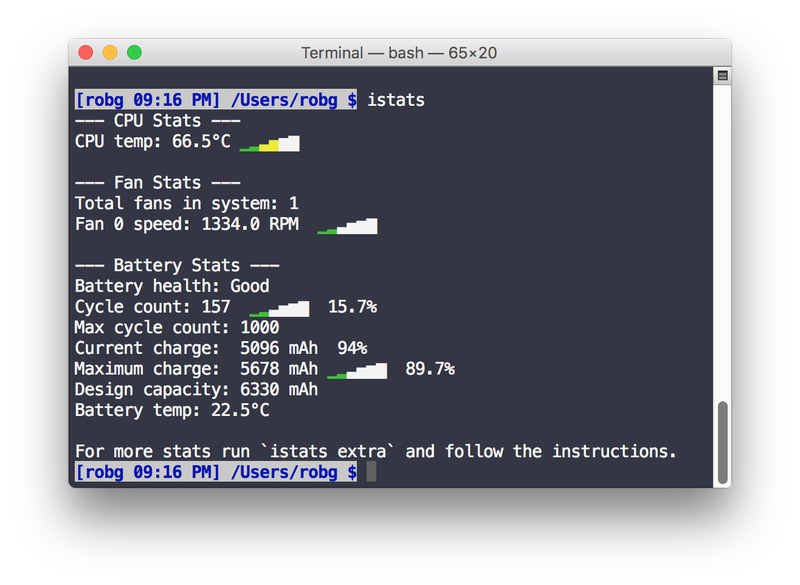 Someone—perhaps it was Kirk—pointed me at this nifty Ruby gem to read and display your Mac’s sensors in Terminal: iStats — not to be confused with iStat Menus, a GUI tool that does similar things. This tool is especially useful on a laptop, as it provides an easy-to-read battery summary. 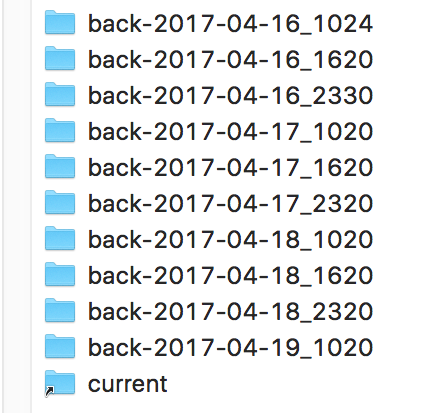 Taking a break from the recent Frankenmac posts, here’s a little trick for creating “Time Machine like” backups of anything you’d care to back up1I don’t know how well this might work for Mac files, as opposed to Unix files. But Mac files can be saved to the real Time Machine.. In my case, it’s the HTML files off of my web sites, both personal and work. I used to simply back these up, but then realized it’d be better to have versions rather than totally overwriting the backup each day (which is what I had been doing). Once you’ve got it set up and working, you’ll have a folder structure similar to the one at right, with one folder for each backup, and a “current” link that takes you to the newest backup. I get zero credit for this one; my buddy James explained that he’d been using this method for a year without any troubles, and pointed me to this great guide that explains the process. And that’s all there is to it. Note that you may need a newer version of rsync than what comes with macOS now (2.6.9)—I use version 3.1.2 from Homebrew, so I can’t say for sure that this script works with the stock version. I’ve only been using this for a couple weeks, but it’s working well for me so far.